Cussing in front of kids: Does swearing cultivate sexism? New evidence suggests cussing in front of kids is not inherently harmful. But, asks Linda Doherty, by allowing our little ones to swear, are we inadvertently teaching them to disrespect women? I was 15 when my mother came home from the Catholic school where she was deputy principal and dropped the F-bomb in the kitchen. She had apparently had a bad day at work and was blowing off steam. My jaw dropped. I had never heard Mum use a four-letter word but she seemed to suddenly like the sound and cathartic intensity of this one. 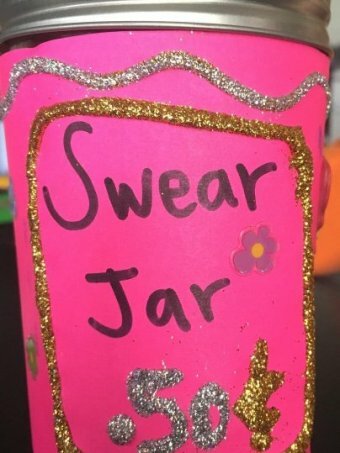 Fast forward to my life as a parent and my nine-year-old daughter makes a steady sum out of the swear jar — 50 cents a word — from occasional bad language from her mum and dad. She doesn’t like swearing because “the words sound mean” but uses euphemisms such as, “Oh, fudge” and “sushi”. As parents we tend to censor our words around children so they don’t go to school cursing like pirates — but are we too tough on ourselves? A new book questions the reason for our protectiveness with the claim there is no evidence that swearing in front of children has any harmful impact. 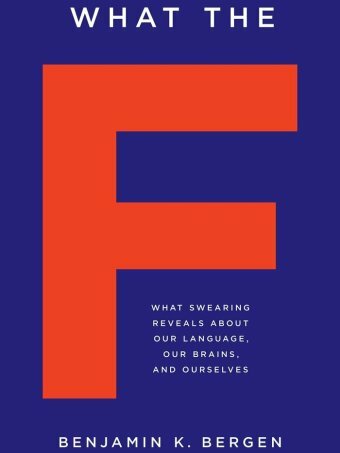 Benjamin Bergen, author of What the F: What Swearing Reveals About our Language, Our Brains, and Ourselves, makes the delineation between swearing at children — which can cause harm — and swearing around children, which doesn’t. Profane words that damage children emotionally include derogatory, racist, homophobic and sexist slurs. “But there’s no similar proof that exposure to ordinary profanity — four-letter words — causes any sort of direct harm: no increased aggression, stunted vocabulary, numbed emotions or anything else,” Bergen wrote recently in the Los Angeles Times. Professor Bergen, a cognitive scientist at the University of California San Diego, synthesised observational studies of children and adults swearing and his own research with college students to extrapolate the findings to children. “Profanity by itself, that fleeting expletive when you step on a piece of Lego … that doesn’t seem to demonstrate any clear harm to children,” he told Radio National earlier this month. In one large American observational study, “children, like adults, were overwhelmingly using profanity in pro-social ways, they were using it to make friends, to influence people, to smooth social reactions”. Should we regard this as a licence to cut loose with obscenities? In other words, does the evidence that it is not harmful make it ethical or acceptable to drop the F-word in front of children? Perhaps the dilemma is not potential harm, but the way we want our offspring to speak. Parents have different views of what is appropriate but most would not describe swearing as pro-social behaviour, according to Associate Professor Eva Kimonis, director of the Parent-Child Research Clinic at the University of New South Wales. Children are sponges, and will repeat the naughty word to gain attention from its shock value. Even if parents are comfortable with children swearing at home, “it’s likely to be problematic in other settings such as preschool where it is typically prohibited”. Offensive language carries a $500 fine in some Australian states and can result in a criminal record. But many believe swearing is cathartic, good for stress and pain management and a substitute for physical aggression. Jackie Malecki, secretary of the Australian Government Primary Principals Association, says swearing has become more common — and more acceptable — in the 40 years since she started teaching. 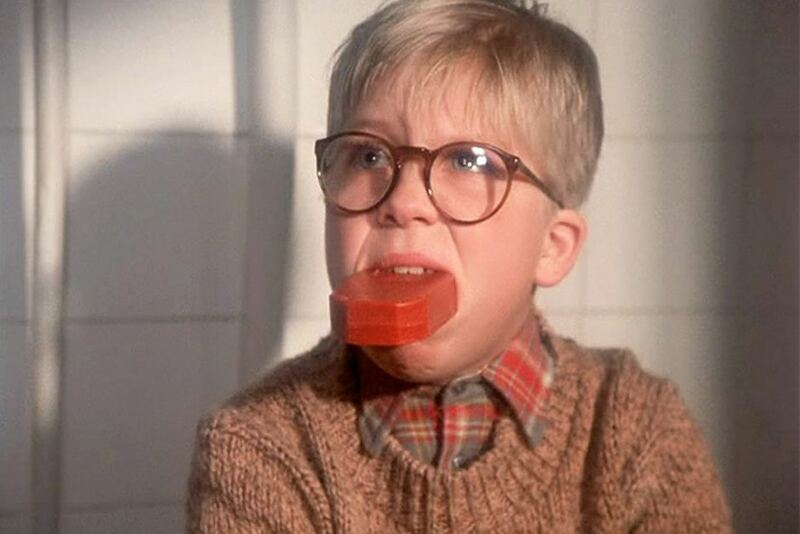 There are fewer threats, for instance, to wash children’s mouths out with soap and water. Ms Malecki, principal of Rooty Hill Public School in western Sydney, says teachers are increasingly taking on the role of teaching children the boundaries of profanity, particularly what’s acceptable or inappropriate, and the context in which swearing occurs. “People can generally cope with ‘bloody hell’ but not with ‘f***ing c***’,” she says. Professor Timothy Jay, psychology professor at the Massachusetts College of Liberal Arts, agrees the evidence shows no harmful impact on children exposed to swearing. Adolescence typically is the time when gutter language peaks but swearing emerges by age two, and by school age a child will have a vocabulary of 30 to 40 offensive words, even if they don’t know their meaning, Professor Jay and Kristin Janschewitz wrote in The Science of Swearing for the Association of Psychological Science. Could swearing lead to sexism? Another question is: if we allow children to swear, are we inadvertently — or unthinkingly — condoning views we might not agree with, such as disrespect for women? Swearing crosses socioeconomic status and age ranges, but men swear more often and more offensively than women. The most common swear words are sexual obscenities or personally defaming words and in the hierarchy of cursing, men are more likely to say ‘f***’ and ‘s***’ and ‘mother f***er’ — while women more commonly use mild expletives like, ‘oh my God’ and ‘piss’. In Professor Jay’s research, recording 10,000 episodes of adults and children swearing, rarely did they witness negative consequences. Expletives, he says, are “just words” and swearing in front of children takes away the taboo aspect. The problem with this “just words” viewpoint, according to Teresa Stone, Professor of International Nursing at Japan’s Yamaguchi University, is that many swear words are inherently sexist. Australian nurses studied for her PhD thesis, Swearing: Impact on nurses and implications for therapeutic practice, reported being more distressed by being sworn at than they were about physical violence — and often the cursing was from children. “Nurses in my study rated ‘c***’, ‘f***’ and ‘mother f***er’ as significantly more offensive than other words. Nurses would rate sexually-based swear words as more offensive than profanity or blasphemy,” Professor Stone says. “Successful swearers”, she adds, learn to read social codes and stay within acceptable conventions. But like all language — good and bad — new swear words evolve and some lose currency, so learning the social codes is an ongoing process. Even the F-word is on its way out, at least in the United States. “We find that through surveys it’s ranked about number 10 in the worst words of English and it’s going downwards,” Professor Bergen told Radio National. So maybe my mother was right after all? One day soon, ‘f***’ might just be a really good word. It’s the others I am more worried about, now. Linda Doherty is a Sydney-based writer and former journalist with The Sydney Morning Herald. Posted on October 23, 2016, in ConspiracyOz Posts. Bookmark the permalink. 1 Comment. An example of an article attempting to condition the public into fearing certain words deemed unacceptable by the government.